Teeth are protected by a hard layer of enamel. If this is damaged or worn away then the dentine underneath may become exposed and this can cause pain. Wearing away of enamel caused by over-enthusiastic brushing. These factors can make your teeth hypersensitive to heat, cold, sweetness, acidity or just when brushing. It gently and effectively helps remove stains restoring teeth to their natural whiteness. 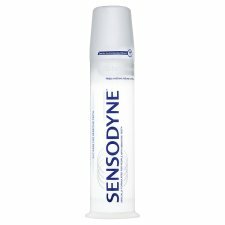 Sensodyne Gentle Whitening is a low abrasion, fluoride containing toothpaste that, when used twice a day, provides 24/7 care for sensitive teeth. 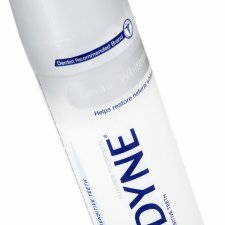 It removes plaque with regular brushing and contains fluoride to prevent decay. Sensitive teeth may indicate and underlying problem that needs prompt care. If symptoms persist or worsen see your dentist. Keep out of reach of children. Not for use by children under 12 years of age unless on advice of a dental professional or doctor. Remove foil before use. Do not use if foil seal on the nozzle is broken.